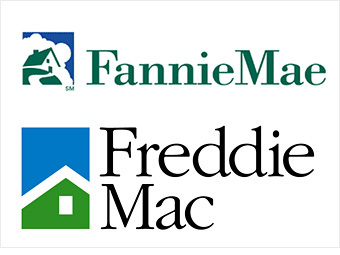 What Is Really Happening With Fannie & Freddie! If you’re a mortgage borrower your great goal in life is to get a lower rate. While 2012 saw the lowest mortgage rates in 65 years, 2013 and early 2014 have not been far off the mark. In a plot worthy of a James Bond villain, there has been a decided effort in Washington to make the mortgage market less competitive, to assure that the lending system as we know it is completely gutted and thus to artificially raise mortgage rates. By replacing Fannie Mae and Freddie Mac with new firms created by the private sector — but backed with government guarantees. Without Fannie and Freddie costs to borrowers would rise, creating less housing demand but raising huge profits for replacement companies. A year or two ago the end of Fannie and Freddie seemed like a done deal, but in a sudden reversal, it looks like the two giant mortgage buyers will remain in business for the foreseeable future. Fannie and Freddie buy conforming loans from local lenders. These loans are bundled together and re-sold to investors worldwide. Such securities are then insured and guaranteed by Fannie and Freddie in exchange for guarantee fees (g-fees) — fees worth tens of billions of dollars annually. So who should get the fees? Until 2008, it was Fannie Mae and Freddie Mac who got the money, as well as their shareholders. However, with the nationalization of the two giant secondary lenders the picture is no longer so clear. For instance, in 2012 Congress increased the g-fees charged by Fannie Mae and Freddie Mac, not to improve their bottom line or lower mortgage rates, but to fund a temporary payroll tax reduction. In effect, Fannie and Freddie became cash cows to be milked by Congress. The big battle is whether Fannie and Freddie should exist at all. There are several plans floating around Washington to replace the two big GSE with private firms, big companies created on Wall Street. Not usually mentioned is that such plans to “privatize” the secondary market are unnecessary. There are already private firms that buy mortgages and then sell securities to investors. For instance, according to conservative financial writer James K Glassman, private companies controlled 67 percent of the secondary market in 2006 but only 14 percent in 2012. Why did private-sector companies lose so much market share? It was these companies that securitized toxic and subprime mortgages, the loans most likely to fail and the financing at the heart of the mortgage meltdown. What makes the DC “private sector” proposals different from the private companies long been active in the secondary market is that the new firms would be backed with federal guarantees, just like Fannie and Freddie. Taxpayers would implicitly be on the hook for any losses while all profits would go to investors. In other words, the new private companies would be exactly the same as Fannie and Freddie before the mortgage meltdown. Only the names on the dividend checks would change. The government’s position in this matter for the past few years could not be more clear: The Federal Housing Finance Agency — the bureaucracy that now runs Fannie and Freddie — actually produced a report which lays out the whole plan. The idea is not to create private companies that through better products or lower costs would gain market share, but instead to purposely hobble Fannie and Freddie with higher costs so they can no longer compete effectively. The plan to undermine Fannie and Freddie has been in high gear but is now facing resistance. Arguably, it may even be dead. What happened to stop one of the biggest lobbying efforts in Washington? First, Fannie and Freddie are hugely profitable — and the profits are now collected by the government and used to hold down the deficit. Fannie has so far paid $114 billion to the federal government while Freddie has chipped in $71.3 billion. The two companies will easily repay the $188 billion advanced by the Treasury. Payments to the federal government from Fannie and Freddie are not considered “income,” instead in the magical thinking of government finance they are defined as “negative outlays” that “reduce” spending and thus the deficit. Second, unlike Citigroup, General Motors, Chrysler or AIG, federal claims against Fannie and Freddie will not end with the repayment of advances plus interest. In one of the most unusual financial strategies ever seen, last summer the government unilaterally declared that it was entitled to a “net worth sweep” from the two companies, meaning that it would take all profits and income from Fannie and Freddie. If the government takes all income it means no cash is available to pay dividends to other shareholders or rebuild capital reserves. The government now faces multiple suits as a result of the “net worth sweep” policy because of claims that it’s violating the “taking” clause of the Fifth Amendment by not offering “just” compensation to shareholders. No one knows how the courts will rule on such claims, but prospects for the federal government are fairly grim. In the 1996 Winstar case, shareholders of illegally-seized savings-and-loan associations won $30 billion in compensation for the loss of their property. The claims from Fannie and Freddie shareholders could be substantially larger. Third, given the flood of money generated by Fannie and Freddie, maybe their premeditated and artificial collapse is not such a good policy. Not only would the government lose dividend payments, it would also have new liabilities with their private-sector replacements. In addition — and not to be overlooked — with an end to Fannie and Freddie borrowers would face higher financing costs. Mark Zandi, the chief economist at Moody’s Analytics, told the Associated Press that privatization of the secondary market would increase the cost of a typical $200,000 mortgage by $75 to $135 a month — that’s $900 to $1,620 per year — with no additional benefit to borrowers. You can see the impact of recent federal policies by looking at conventional and jumbo mortgage rates. In an historic reversal, jumbo loans are now cheaper than conventional mortgages because g-fees have pushed up the cost of conventional loans. This happens because jumbo financing is not purchased by Fannie Mae and Freddie Mac, thus such loans do not include g-fees. The re-thinking of government policies was dramatically shown when still-another increase in the g-fee was announced in December and stopped in January. Interestingly, the increase was the last major act of outgoing FHFA Director Ed DeMarco — and the first for incoming Director Mel Watt.